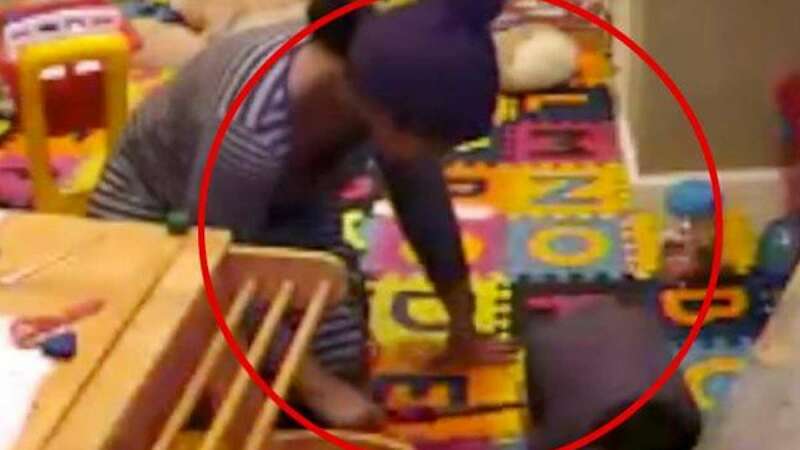 Washington : A CCTV camera footage caught US nanny burning 2-year-old Indian origin toddler with a curling iron, she has been arrested after the incident was reported to the cops. The baby's mother, Angela Persaud, noticed the signs of the burning on Alexander's hand and feet and checked the security camera video in their home in the New York suburb of Baldwin, WABC TV reported on Friday. Police has arrested Nxumalo, 21, on Thursday and charged her with assault and endangering the welfare of a child, according to media reports. However, the nanny explained her act to a news channel and said, "The child wouldn't listen. I wanted to discipline him using the iron, so I burned him." The incident apparently happened when parents were not home and nanny was taking care of the baby.